Andrew Benintendi has only played 34 games as a Major League Baseball player, but the 22 year-old is already a fan-favorite in Boston. It didn’t take long for him to prove his worth last season after being called up to the bigs in early August. At just 21 years old, he was able to post a .295/.359/.476 slashline during his two months with the team. Of his 31 hits, 14 were for extra bases. Not to mention he made some incredible catches in the outfield. If you don’t believe Lou, just ask Red Sox pitcher Brian Johnson. Benintendi promised Johnson that he would take him deep in live BP on Sunday, and he did just that. Andrew Benintendi and Brian Johnson went out to lunch together Friday and Benintendi delivered a simple message: I’m going to face you. I’m taking you deep. “Oh, yeah, he told me he was going to,” Johnson told MassLive.com here at the JetBlue Park complex Sunday. Sure, it’s only batting practice. But when a guy tells you he’s going to hit a home run off you, there’s no way you let him. Make no mistake about it, Brian Johnson was trying to get Benintendi out. 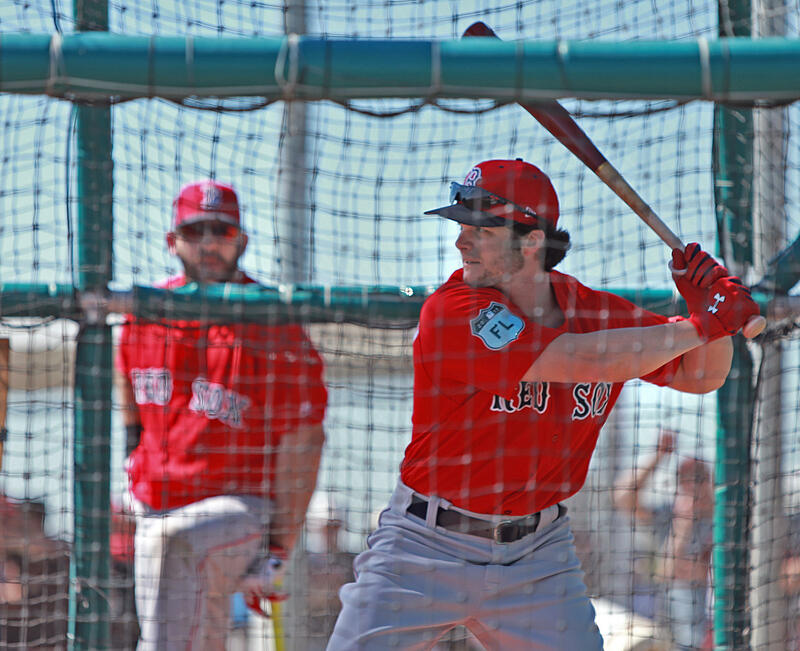 Instead, Benintendi gave us a little preview of what we can expect from him in his first full season.